Head of Iran's Atomic Energy Organization says Iran never actually filled Arak reactor with cement, secretly acquired replacement tubes. Ali Akbar Salehi, the head of the Atomic Energy Organization of Iran, said in a television interview this week that the negotiations surrounding the 2015 Iranian nuclear agreement had required Iran to destroy the Arak reactor's calandria by filling it with cement, but Iran had secretly acquired replacement tubes ahead of time so that the reactor's functionality would not be ultimately affected. Salehi also said that pictures that had circulated that showed the Arak reactor's pit filled with cement had been photoshopped. He explained that Iran has no intention to build a nuclear weapon, and that the Arak reactor is nonetheless incapable of producing weapons-grade plutonium. The interview aired on Iran’s Channel 4 TV on Wednesday. Excerpts from the interview were translated by the Middle East Media Research Institute (MEMRI). “When our team was in the midst of the negotiations, we knew that [the Westerners] would ultimately renege on their promises. The leader warned us that they were violators of agreements. We had to act wisely. Not only did we avoid destroying the bridges that we had built, but we also built new bridges that would enable us to go back faster if needed,” he continued. Iran has been threatening to restart its nuclear program ever since US President Donald Trump pulled out of the nuclear deal in May of 2018 and imposed two rounds of sanctions against the Islamic Republic. 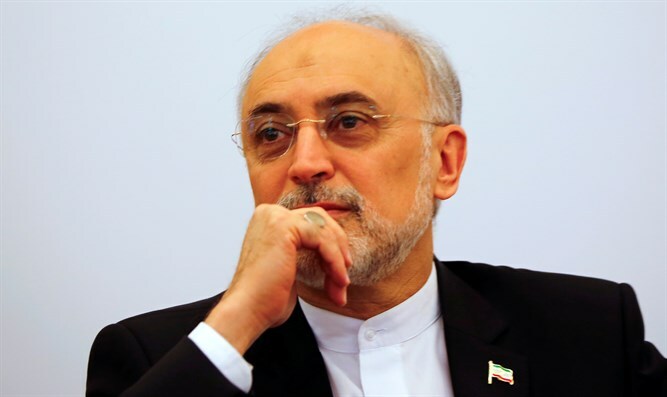 Earlier this month, Salehi said Iran is taking preliminary steps to design uranium fuel with a purity of 20 percent for reactors instead of having to copy foreign designs.